This page will contain Australian family photographs. Many will also be found throughout the site but this page will act as a repository of all the photographs. This family portrait was taken in Melbourne in 1932. William and Lillian were married in 1914. Phyllis (1915) behind her father, Jean (1916), William (1923) and Shirley (1930). At that time, William had a milk run in East Brunswick and North Fitzroy, suburbs just to the north of the city. The old stables at the back of the house are still there. In the early hours each morning, the older girls helped their father attach the cart to the horse and load the steel containers of milk. Sometimes the horse would bolt and they'd have to catch it before they could start their rounds. People usually left out a billy can or bottle which could be filled and 1d (a penny), or 2d (twopence), depending on how much was wanted. Some years after that William became the caretaker of the State Savings Bank of Melbourne, on the corner of Elizabeth and Bourke Streets. Private Andrew Studd (3239), third son of George and Johanna, born in Melbourne in 1895. Andrew's parents moved back to Amphitheatre about 1897. Andrew enlisted in the 60th Battalion AIF (Australian Imperial Forces) at Lexton (a town near Amphitheatre), on 25th October 1916. His occupation was orchardist, he was 5 feet 9 inches, 135 lbs (pounds), with fair complexion and hair, and grey eyes. The troopship left Melbourne on 16th December 1916, arriving in Plymouth 18th February 1917. He was discharged on 25th February 1918 and died in Amphitheatre on 4th April 1919, buried with a military headstone in the local cemetery. The medals he received were the 1914/15 Star, the British War Medal and the Victory Medal. Source: World War 1 Service Records, National Archives of Australia, Canberra. Robert Arthur Studd (1860-1937) married Catherine Jane Elizabeth Blake (1861-1940) on 29th July 1882 at St Michael and John's Roman Catholic Church, Horsham. This photo, taken in Newcastle NSW in 1932, celebrates their 50th wedding anniversary. Her parents were from Ballyglunin, County Galway, owning wheat and sheep property in the Horsham District. 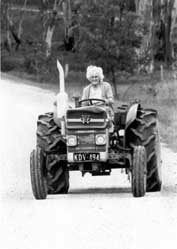 Robert managed farms in the Wimmera (western Victoria) until 1908 when he and his family took up property near Boggabri NSW. In 1930, he sold his wheat farm and retired to Mayfield in Newcastle. They are buried together in the Roman Catholic section of Sandgate Cemetery. 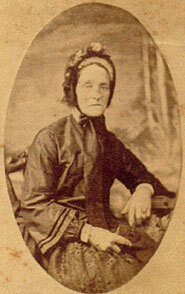 Elsie was the sixth child of George William and Johanna Studd. property, just out of Amphitheatre. Records show her enrolled at Avoca State School in October 1909, her father being a miner. village (about 2 kilometres) along the Pyrenees Highway. was enrolled at the local state school in February 1912. He became a butcher, then from 1936-38 he had the Pyrenees Hotel in Lexton. From 1938-40 his wife Daisy was the licensee. On 25 /6/1940 he enlisted and was discharged 5/9/1945.